This magnificent residence was the last “major” house to be constructed in Richmond before World War II. Mr. and Mrs. Samuel Bemiss commissioned noted architect Louis Ballou of Ballou and Justice to provide the design work and Claiborne and Taylor Builders to complete construction. The Bemiss family moved into the house in February, 1941, and the property remained in the Bemiss family’s hands until 2001, when it was sold to the current owner. Paved and cobble-edged forecourt with circular drive, central formal boxwood garden, and large lighted fountain. Private parking in garage courtyard. Overlooking the river: Dramatic front to rear view from double door entry through living room double doors. Curved staircase to upper levels. Random- width hardwood flooring. Crown mouldings and chair rail. Two closets. Opens to library, living room, dining room and rear hallway. 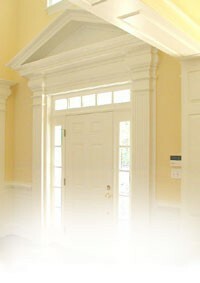 Magnificent millwork, to include raised-panel walls and recessed windows and heavy crown mouldings. Paneled mantel and chimneybreast with fluted pilasters. Fireplace with slate hearth and surround and gas logs. Built-in shelving and cabinetry. Six over nine windows. Random-width hardwood flooring. Hanging fixture shall be conveyed. Double-doors from entrance hallway into living room. Overlooking the river. Fireplace with “Adamesque” mantel, slate hearth and marble surround. Gas logs. Six over nine windows. Heavy classic millwork to include crown mouldings, chair rail with Greek key design, detailed mouldings above doorways, and picture mouldings. Storage cabinetry hidden within paneling. Random-width hardwood flooring. Arched split door into dining room. Crystal chandelier is original to the house and shall be conveyed. Double doors to expansive covered terrace. Please note: Rug shall be conveyed. Overlooking the river. Heavy classic mouldings and wainscoting. Random-width hardwood flooring. Fireplace with “Adamesque” mantel, slate hearth, and marble surround. Gas logs. Six over nine windows. Hidden storage cabinetry within wall paneling. Recessed lighting and original crystal chandelier. Please note: Crystal chandelier and rug shall be conveyed. Doorways into rear hallway and casual dining room. Located off the entrance hallway and dining room. Hardwood flooring. Elevator access to lower and second levels. Access to butler’s pantry, curved rear staircase to guest bath and lower level, and rear staircase to upper levels. Hardwood flooring. Granite countertops with desk and prep areas. Built-in cabinetry, some with glass fronts. Window over the stainless steel sink with disposal. Built-in Bosch dishwasher, U-Line wine chiller, and Scotsman ice maker. Onyx tile floor. Pedestal sink. Overlooking the river. 10’ ceiling. Columned. Opens into kitchen, dining room, and sunroom. Random-width hardwood flooring. Bay window with five transomed windows. Recessed lighting. Overlooking the river. 10’ ceiling. Opens from rear hallway and into family room, sun room, and casual dining room. Island with granite breakfast bar and JennAir electric cooktop. Two built-in Gaggenau ovens. Stainless steel sink with disposal and built-in steamer. Built-in Thermador warming drawer and microwave. Marble tile backsplash. SubZero side-by-side refrigerator/freezer. Hardwood flooring. Opens to kitchen. 10’ ceiling. Random-width hardwood flooring. Intricate crown mouldings. Gas fireplace with heavy mantel and entertainment cabinet above. Recessed lighting. Staircase to exterior doorway from front courtyard and to lower level. Overlooking the river. 11’ ceiling. Double transomed French doors open into kitchen and casual dining room. Bluestone flooring. Coffered ceiling with crown mouldings and up-lighting. Doorway onto bluestone terrace. Recessed lighting. Overlooking the river. Hardwood flooring. Paneled wall with hidden window. Crown mouldings and chair rail. Two closets. Main entrance door includes a hinged/louvered panel for additional ventilation (which predated air-conditioning). Vestibule connection to master bedroom. Raised marble vanity with storage below. Tub/shower with tile surround and glass enclosure. Staircase to upper level. Entrance to master suite. Entrance into master bedroom. Gun closet. Opens to internal master hallway with 2 walk-in closets + standard closet and entrances to lady’s dressing room and master bathroom. Overlooking the river. Fireplace with slate hearth and surround set in paneled wall. Gas logs. Hardwood flooring. Crown mouldings and chair rail. Doorway into vestibule/closet which provides direct access to bedroom #2. Hardwood flooring. Onyx vanity with a dressing table and sink. Marble flooring. Frameless glass shower with water jets. Deep jetted soaking tub with marble platform. Vanity with marble tops and two oval sinks. Television shall be conveyed. Storage alcove. Elevator access. Entrances to bedrooms #3 and #4. Overlooking the river. Hardwood flooring. Crown mouldings. Closet. Raised vanity with marble countertop. Tile flooring. and tub/shower with tile surround with glass enclosure. Overlooking the river. 9’7” ceiling. Hardwood flooring. Crown mouldings. Ceiling fan. Recessed lighting. Oversized closet area with built-in desk and bar. Doorway into sitting room/study. Sitting Room/Study: 13’8” x 11’6” 9’3” ceiling. Hardwood floor. Crown mouldings. Built-in desk with book shelving and storage cabinetry. Entrance to private bathroom. Ceramic tile flooring. Shower with glass door. Accessed from bedroom and sitting room/study. Overlooking the river. Multiple closets. Overlooking the river. Ceramic flooring. Granite countertop. Tub/shower with tile surround. Linen closet. Curved staircase to lower level main hallway. Diagonally-laid tile flooring. Ceilings are generally 8’. Crown mouldings and chair rail. Wall sconces. Entrances to home theater/media room and recreation room. Home Theater/Media Room: 20’6” x 13’4”. Carpeting. Tiered seating for 8. Surround sound. Stewart screen, Sony projection equipment, and built-in seating shall be conveyed. Raised panel wall treatment. Sconces. Built-in cabinetry with storage drawers. Mechanical closet. Entrance into family room. Overlooking the river. Carpeting. Fireplace with marble hearth and surround. Gas logs. Crown mouldings, paneled wainscoting, and chair rail. Built-in entertainment center flanked by window seats and built-in storage cabinetry. Oversized wet bar area with granite bar, bar sink, Bosch dishwasher, U-Line beverage refrigerator, and Scotsman icemaker. Glass-front cabinetry. Double French doors to covered terrace. Overlooking the river. Stone tile flooring. Granite serving bar with stainless sink. Storage cabinetry. Entrance to office. Overlooking the river. Built-in desk with granite top. Storage cabinetry. Opens from caterer’s kitchen. Access to full bath with sauna and shower. Full bathroom with granite vanity top and storage below. Shower with glass door. Sauna. Elevator access. Large mechanical room. Five large storage closets. Conditioned by Whispercool 4200XL unit. Stone tile flooring. Wine storage racks for 363 bottles and 6 racks for cases of wine. Oversized work surface with granite top and sink. Upper and lower cabinetry. Ironing board. Mop or dog-washing sink. Washer and dryer shall be conveyed. Overlooking the river. Carpeting. Double closet. Built-in cabinet with niche. Recessed lighting. Door onto covered terrace. Tile flooring. Stone vanity. Tub/shower with glass enclosure and tile surround. Single garage bay converted to an exercise room with through-the-wall heat pump. Video equipment conveys “as-is”. Bay may be returned to use as a third garage bay. 2-car heated garage heated (which can be expanded into a 3-car garage by eliminating the exercise room) with drive-through bay. 3-car heated garage. Pedestrian door. Access through gated entrance on Loch Lomond Lane. Oval heated Gunite pool with jetted spa. Stone decking with brick retaining walls and multiple planting beds. Custom lighting. New pool heater installed in October, 2018. Slate roof. Cupola. Octagonal gathering room with stone flooring, up-lit ceilings, and ceiling fan. Granite countertops. Jenn-Air stove and microwave. Stainless sink with disposal. Icemaker. Refrigerator. Custom cabinetry. Full bath/dressing room with granite vanity top and shower. Laundry room/men’s changing room with washer and dryer, built-in storage, and bench seating. Per Carter Machinery, installer: 55 KW generator was installed in 2005. Serviced in August, 2018. Broker has been advised by property manager and believes that the generator runs everything on the property; however, this information has not been confirmed. Square Footage: 11,738 square feet per appraiser. Prospective buyers should confirm these dimensions. Note: Square footage includes attached finished exercise room + 310 sq ft in pool house. It does not include heated garages. Architect: Louis Justice of Justice and Ballou (original design in 1941). Terry Cox of Cox & Associates (renovation design work after 2001). Heating: Serviced September 18, 2018. Maintained by Bradley Mechanical. Cooling: Serviced September 18, 2018. Maintained by Bradley Mechanical. All information contained herein is believed to be correct, but a prospective purchaser should not rely on its accuracy in making a purchase decision. No warranty is intended, expressed or implied. Property is part of an estate, and neither trustees nor brokers have first-hand knowledge. Persons interested in this property should consult their own authorities before making a purchase decision. All measurements are approximate and should be verified by any prospective purchaser. School information is as provided by local municipal authorities, is subject to change, and should be confirmed by any prospective purchaser.